Falling Leaves will be appearing in Apex Magazine! If you’ve read (or heard at Pseudopod OR Dark Fictions) my story a Study in Flesh and Mind, the setting might be a little familiar. Chances are you won’t actually get to read it until 2014, but I’m super happy that Apex accepted and it’s a joy to work with such smart, caring editors. 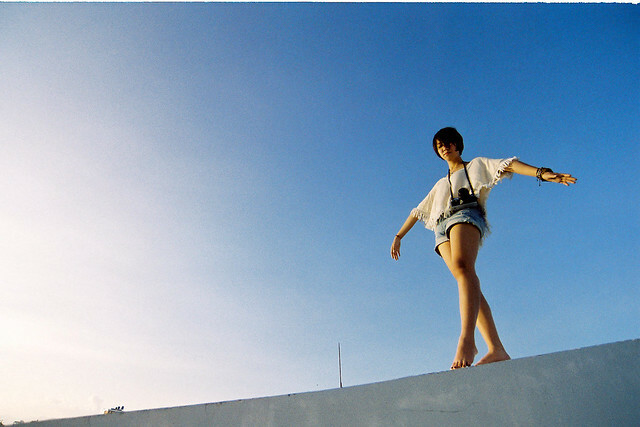 Photo by Khánh Hmoong on flickr. I love that the title of this photograph is “There the world below can’t bother me.” Perfect for my story and I’m rather fond of rooftops. And I love your icon, it’s delicious.